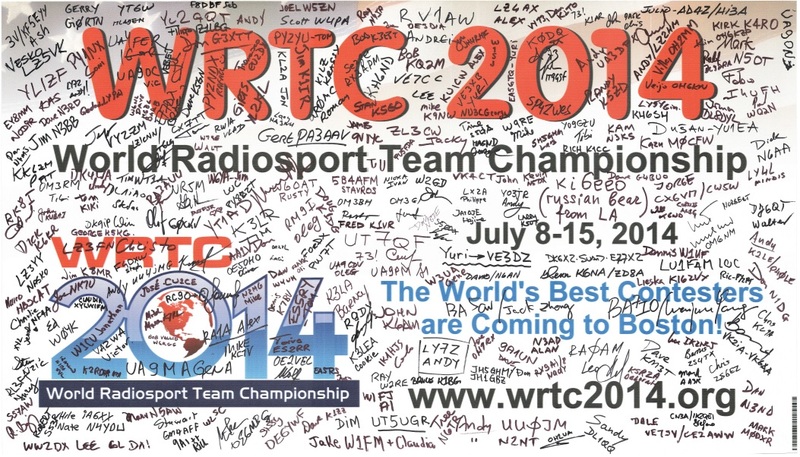 Links to the logs of all competing teams in WRTC2014. Download all logs in zip file wrtc2014logs.zip (2Mb). All QSL cards are being handled by the WRTC2014 Organizing Committee. Refer questions to info@wrtc2014.org. Funding for video production was provided by a generous grant from the Northern California DX Foundation (NCDXF). The video is being distributed from the Web at no charge. We plan to make a downloadable version available in the near future to help facilitate use at club meetings. Thanks to all of the volunteers, competitors, referees, and judges for starring in the show and making WRTC2014 such a success! One of the treasured memories from WRTC2014 for the organizing committee is the banner that was signed by all of the participants. Can you find your name? 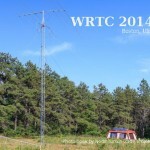 Chris Burger, ZS6EZ, wrote a very entertaining story of his journey to and around WRTC2014. Two thumbs up! I have created an animated GIF file that displays the progress of each WRTC team, hour by hour, compared to the winning team K1A (N6MJ, KL9A). The three animated bar charts show Claimed score, QSOs (duped), and Multipliers, with a reference line on K1A’s progress in each chart. The number to the right of the callsigns is the claimed score rank, as of that moment in time. Only A Game (OAG) is an award-winning weekly radio sports magazine hosted by veteran National Public Radio (NPR) commentator Bill Littlefield. Only A Game is radio for the serious sports fan and the steadfast sports avoider. Produced by WBUR in Boston, Only A Game puts sports in perspective with intelligent analysis, insightful interviews and a keen sense humor. It has a history of covering unusual sports in the New England area. OAG producer Karen Givens visited WRTC2014, interviewed some of the competitors and visited several station sites. She has informed me that WRTC2014 will be a feature on this week’s show! The show is also available on iTunes podcast and from the web site. The initial show time is 7am EDST, but there are additional replays on Sat evening and on the West Coast. Check the station list above for show times. 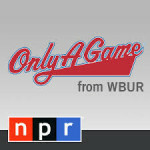 The audio link should be available at http://onlyagame.wbur.org/section/radio/2014/08/09 after the show airs. This is a very popular show with a wide following. We are very excited to have WRTC2014 be featured. 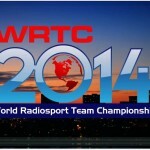 Visit the WRTC2014 web site and read the profiles of the competitors. You have probably worked many of them before! Catch the live video streaming from the WRTC2014 headquarters hotel during social events and the Opening and Closing Ceremonies. See the video and schedule. Get on the air and work the teams! The WRTC2014 competition runs in parallel with the IARU HF Championship from 1200 UTC July 12 to 1200 UTC July 13. Each contact with a WRTC2014 team earns 5 points for the ARRL Centennial QSO. The teams will all be using 1×1 call signs. Print out the checklist and mark them off as you go. Win awards in the “WRTC2014 Chase” for working all 59 teams or the most band modes. What’s the best time? Check out the WRTC2014 propagation forecast tools. Watch the live scoreboard. The scores of all teams will be visible in real time during the contest! 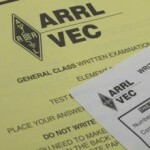 Send your log in Cabrillo format to iaruhf@arrl.org within 6 hours after the contest to become an Assistant Judge! Watch the video streaming of the Closing Ceremony to see who won. Attend the WRTC2014 wrap up presentation at 2pm on Saturday, July 19, at the ARRL National Centennial Convention! Randy Thompson, K5ZD, one of the organizers of WRTC2014, will provide a preview of the upcoming WRTC2014 competition. It’s an opportunity to look behind the scenes at the work that has been going on to prepare for this Olympiad of Amateur Radio. Randy will preview the week’s schedule, the teams, the competition, and what you can do from home to join in the fun. A few competitors and other organizers may drop in as well. This webinar is hosted by the World Wide Radio Operators Foundation (WWROF). What is it like to be a WRTC2014 Referee? John VK4CT has compiled a stereo recording to simulate the experience of being a referee in WRTC2014. 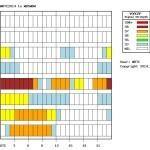 In 2013, W1UE recorded the audio from two radios under similar band conditions expected in 2014. Those recordings are available as mono tracks – one for each radio – at http://www.wrtc2014.org/competition/2013-station-test/ (at the bottom of the page). Participants can now listen to a stereo version that simulates the combined action of the two radios – as will be heard by referees during the competition. 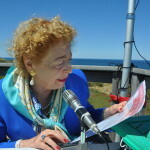 Princess Elettra Marconi visited the historic Marconi wireless site at Cape Cod National Seashore today and used the club station KM1CC to have a contact with WRTC2014 Chairman Doug Grant, K1DG. The Princess is the daughter of the man that literally invented radio – Guglielmo Marconi. WRTC2014, in collaboration with the Framingham Amateur Radio Association (FARA), will be holding license examination sessions for WRTC2014 competitors, referees, and visitors who are interested in obtaining a U.S. license or upgrading their existing U.S. license. We have had a number of visitors to WRTC2014 ask for help finding a place to operate over the weekend. I am pleased to announce that Les, NI1L, has stepped forward to serve as matchmaker between visitors and local station owners. We want everyone who comes to WRTC2014 to have fun and get a chance to be on the air if they want. NOW: If there are any problems for TLs,TMs, or referees such as travel, family/business matters or visa/travel problems that will prevent you from attending, please contact: K1TO@wrtc2014.org IMMEDIATELY so he can take appropriate actions. NOW: If not already done, please finish your on-line registration, especially arrival and departure times, so that we can complete the ground transportation plan and assign local volunteers. 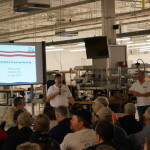 Under overcast skies that were threatening a chance of rain, over 200 volunteers attended the WRTC2014 training session on Saturday, May 31, 2014 at Milara, Inc. in Milford, MA. Volunteers began to arrive around 7:30am and most everyone was checked in by 8:30am. Special thanks to Krassy, K1LZ, for opening the doors of his company and allowing us to have the meeting there. Thanks to Velimir, K3JO, for helping to set everything up. The tours, activities, and dinners that will form the social aspects of WRTC2014 have been finalized. You can see the complete list at on the Tours and Activities page. The tours are organized for the WRTC2014 competitors and referees, but everyone is welcome on a space available basis. There are links to the registration pages where everyone must sign up for the activities they want to participate in. Tours will be available on a first-come, first-served basis. The WRTC2014 Organizing Committee and the Yankee Clipper Contest Club will conduct a joint meeting in Milford, MA on May 31, 2014. The purpose of the meeting is to recruit and provide training for volunteers who will be involved in the WRTC2014 event. Everyone is invited. The main door prize will be a TX38 tribander. Stu Phillips, K6TU, has made his propagation prediction service publicly available for anyone interested in WRTC2014. 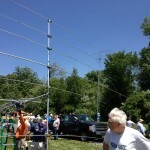 Enter your callsign, grid square, and type of antenna system. The web page will provide a table of expected band openings from your location to the WRTC2014 area. 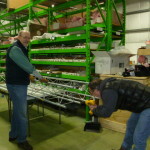 There were two work days organized by Dennis W1UE at the Milara warehouse in Milford, MA. The first was March 18 and the second on March 25.